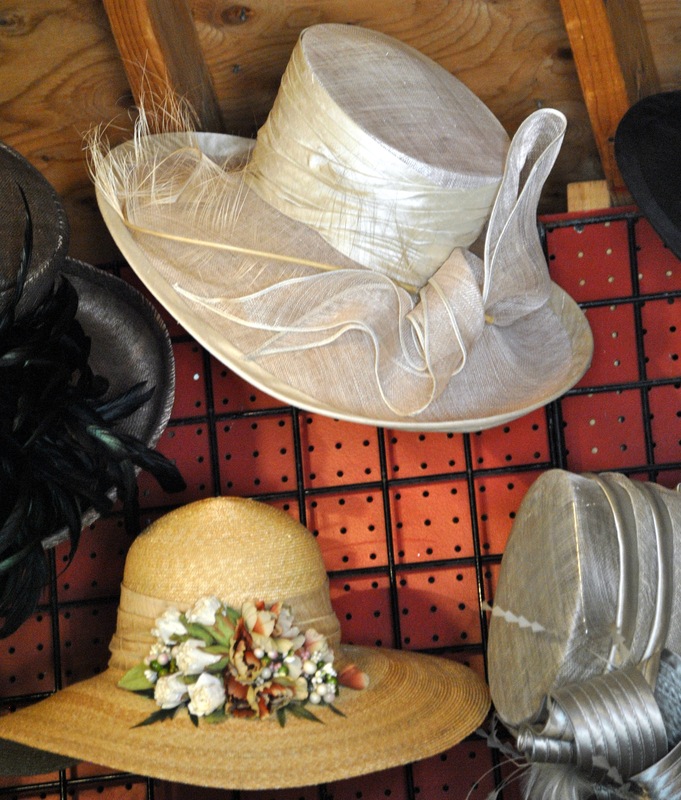 hark I hear there is a bonnet contest somewhere today? 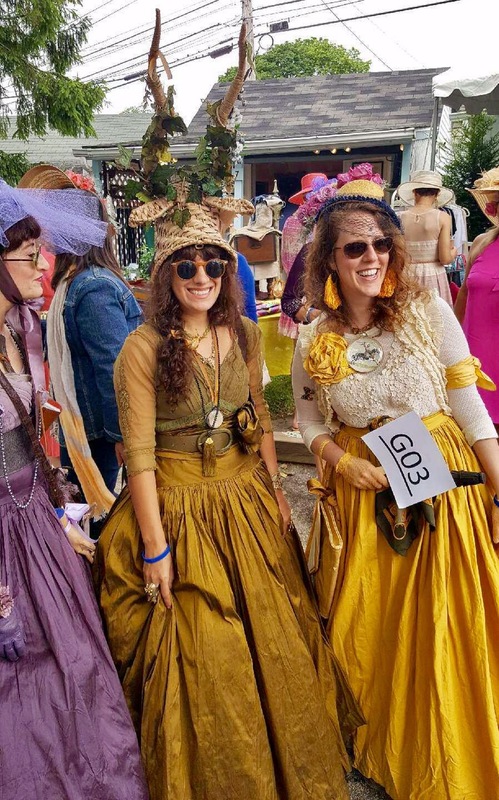 I don’t know if they were going for Jane Austen or Jane Eyre….. or perhaps Surrey With The Fringe On Top LOL? You can tell they spent noodles (and OODLES LOL) of money on their costumes….. but I’m sorry this isn’t supposed to be a masquerade party is it? Or is it? Life is a crazy, meandering thing. Over the weekend I started getting Oklahoma Senior Follies emails again, and I shot off an email to the entire un-BCC’d mailing list. And yes I was QUITE testy…I have been trying to get off these email lists I never signed up for for over a decade. I have found it maddening (right or wrong) that I can’t get off these e-mail lists. I do not even have any friends or family in Oklahoma, I just ended up on these e-mail list and chains. And for over a decade it has been this thing that (again right or wrong) just irritated the snot out of me – it didn’t matter if I was polite or miserable, I could not get off these e-mail lists. Even by blocking many of the senders e-mail addresses I could not stop the flow of misdirected e-mails. It never ceases to amaze me how people who are total strangers to one and other can relate to each other for even a moment in time, or in a misdirected email. Crazy as it sounds, this Cathy is the kind of person anyone would like to have as a friend. So today I Googled her story. I was blown away by the devastating reality of it. I found her Facebook page Cathy Costello for Hope and gave her video a listen so my pen pal by accident had an actual human voice. Six degrees of separation – it’s crazy the way life and fate connect you to people for even a few moments or a few hours. I think Cathy’s voice is a good one to hear, so I hope you take the time for her video, and more importantly her message. She is true grace in the face of unbelievable loss and tragedy so I am paying it forward. Mental illness touches so many. I have had friends affected by it over the years, and I have friends who have had family members affected by it for years. One of my closest and best friends is a mental health social worker in another state – she has been the help and advocate for so many over the years. And I can’t help but also think about the teenagers lost to depression and suicide in this area over the past few years, as well. So I am paying it forward. Her website is Cathy Costello for Hope. public parks and private money: good partnerships? Now the Willows is being studied yet again. It has been in the local papers. It is an example of how communities struggle with publicly owned properties being run by private concerns. Hypothetically these are great adaptive reuses and can be great to keep the life in old and historic structures, but it’s a balance. The problem as I see it with the Willows has always been the disconnect between the politicians and the people. 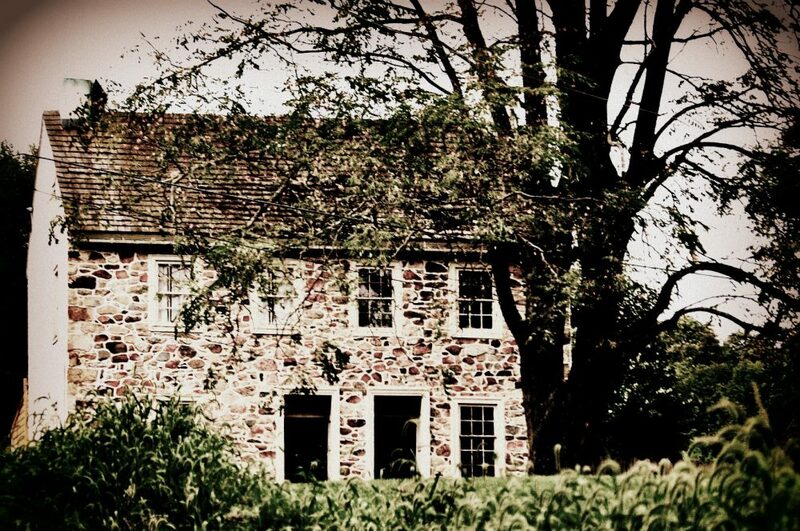 For over 20 years the Kennedy Supplee Mansion at the edge of Valley Forge Park was a successful high end restaurant. But then around 2006 that came to an end when the business that owned the restaurant went under. Since then, the place has slowly deteriorated. Last year I had seen on the National Park Service website an open RFP to I guess get a new tenant. I do not know whatever happened with that RFP. This is not a new concept at Valley Forge National Historic Park, but over the past couple of years the topic has been getting more attention. 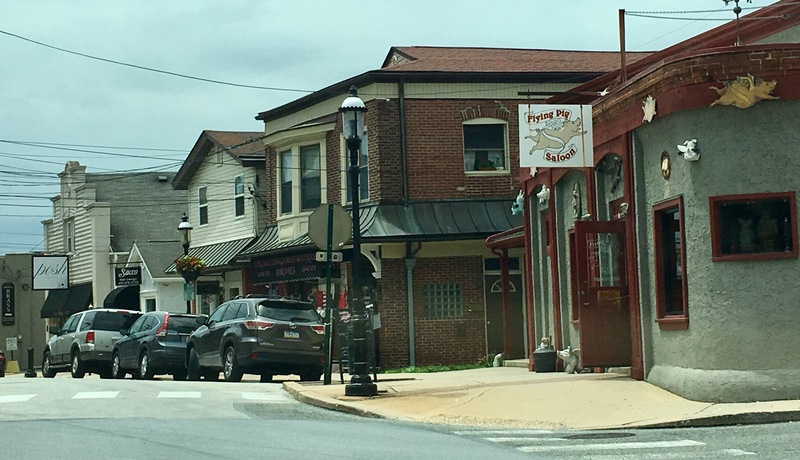 UPPER MERION >> How would you feel about heading over to Valley Forge National Historical Park for a double shot cappuccino and a blueberry scone — in a quaint café setting where memories faintly resonate off the walls? It could happen before too long. 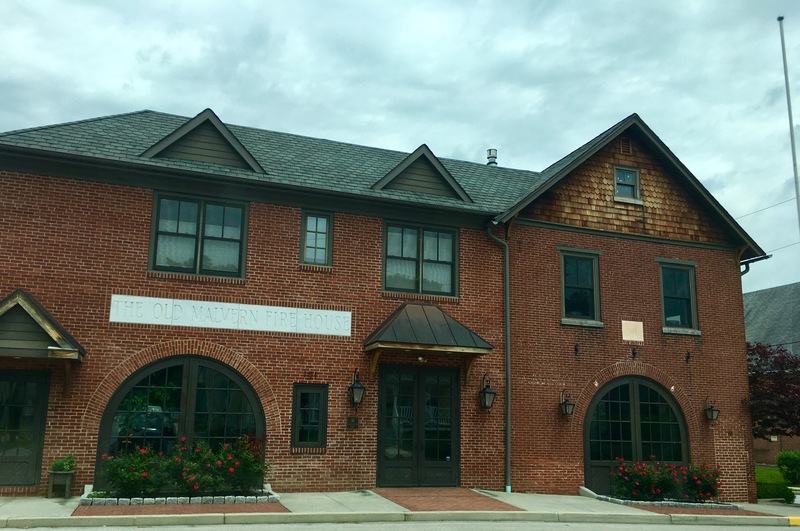 The National Park Service has put a few historic buildings up for commercial use, including the venerable Maurice Stephens House, which one entrepreneur is eyeing to transform into a charming cafe. 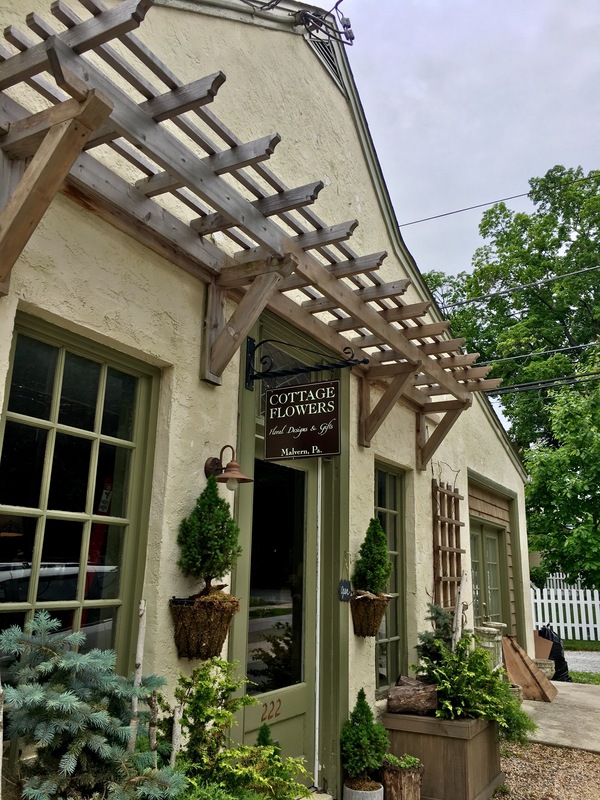 “We’ve had a couple of groups through the building and one is interested in turning it into a café of sorts so that people at the park will have a place to go to get a cup of coffee and a bite to eat,” explained the park’s business manager Patrick Madden, standing outside the 1816 stone farmhouse nestled off of Route 23. Valley Forge Park needs help. No doubt. I am not sure how the money was spent over the past few decades, and I think it was a huge mistake when they lost the now new and opened and fabulous American Revolutionary War Museum to Philadelphia. Thanks to its newly invigorated citizen militia, the nonprofit Valley Forge Park Alliance, it’s marching forward with dazzling plans that will affect ALL of us – anyone who “recreates” in the park (90 percent of visitors), brings guests there, or even drives through. Ten Hut! 1. A TV show. Star fixer-upper Jeff Devlin, host of “Stone House Revival” on HGTV/DIY Network wants to film six episodes in the park and forge an ongoing partnership…. …..2. A new café with character – and a scenic deck for walkers and cyclists. 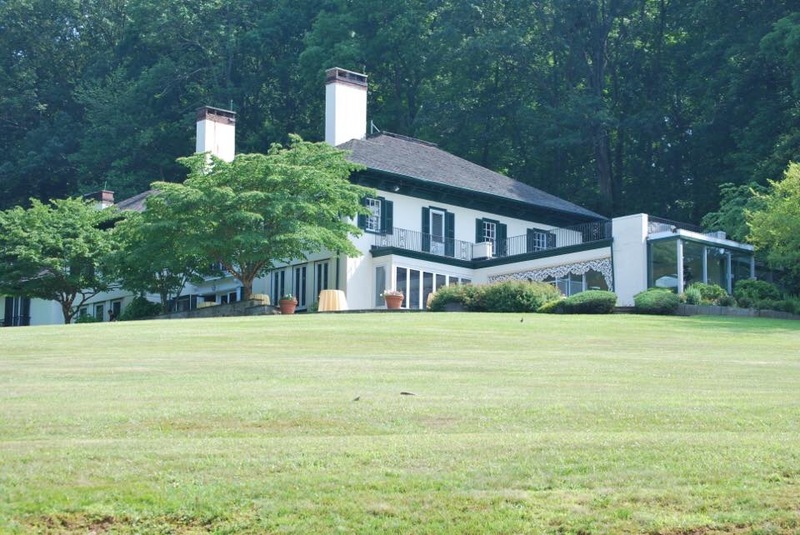 A local real estate guy (not allowed to tell you who yet) is in serious talks with the National Park Service to lease the Maurice Stephens House….For the record: Of the 113 buildings scattered around the park, 74 are historic and 12 of those are colonial era. Bare bones budgets have left many in rough shape, or worse. The Stephens House was built in 1816. Already a hit: Weddings in the park. 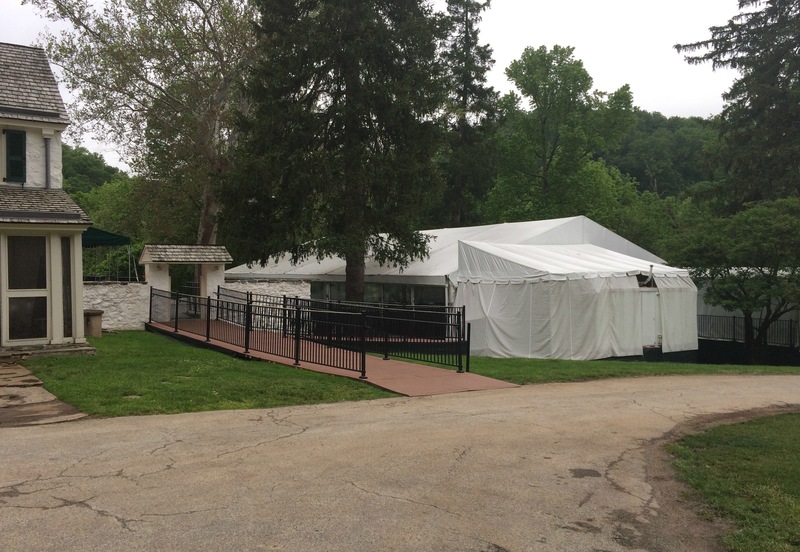 Spiffed up and leased by Robert Ryan Catering, the old Philander Chase Knox Estate and adjoining tent hosted 30+ shindigs its first year and will host at least 44 more in 2017. Ok I make absolutely NO secret of it that I am an old house geek. I am a HUGE fan of Jeff Devlin. He is the real deal and his work is gorgeous. So I think his potential investment in Valley Forge is awesome. I do not think creating a respite for tourists, cyclists, etc in the form of a café at the Stephens House is a bad idea per se, although a “scenic deck” gives me pause because I think the historic structure should remain intact so how will a “scenic deck” be constructed? What money will stay with this old house to help it in the future? 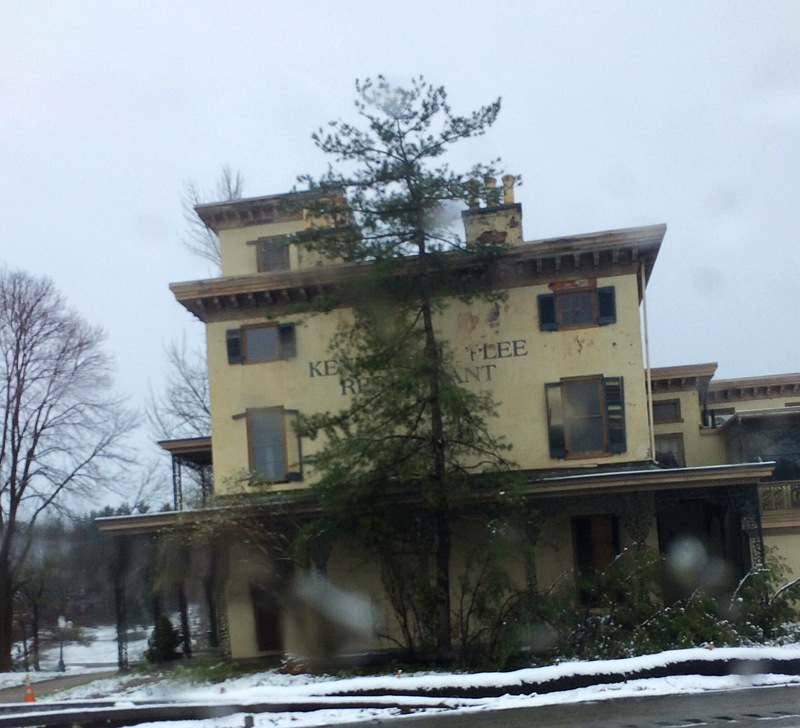 I have that concern given the condition of Kennedy Supplee and the fact that mansion had a long term tenant …..until they didn’t. 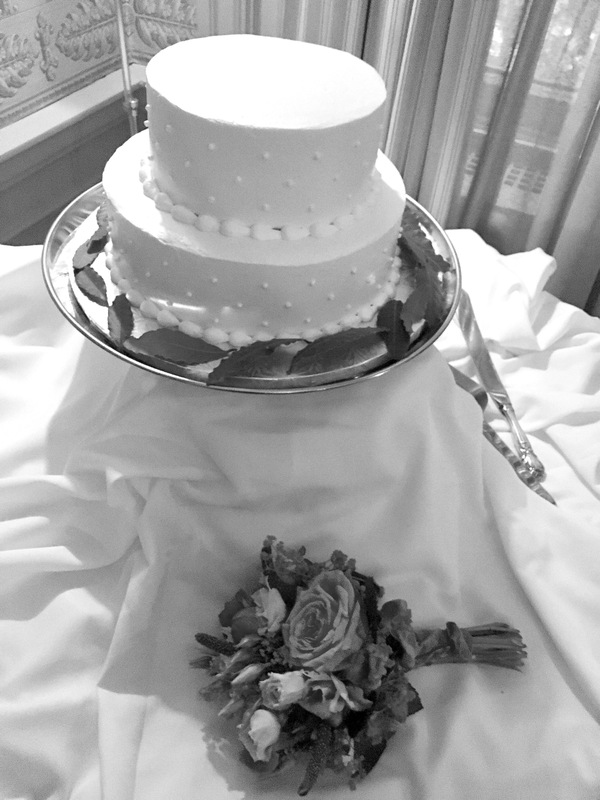 The average wedding cost at Philander Chase is estimated at between $15,705 and $23,044 for a ceremony & reception for 100 guests. ….People go to hear bird chirping, and enjoy peace and as much quiet as possible without piped in music from loudspeakers. Yesterday got to listen to Michael Jackson and Stevie Wonder while enjoying Mt. Misery and Mt. Joy. Unreal! Since Knox went wedding venue I know people who were used to cutting through to a public parking lot by using the house driveway have been stopped by I presume catering or valet staff. Now if an event is in progress maye that would be understandable, but I keep coming back to this house sits in a publicly funded park, so how does all of this work? How should all of this work as a public private partnership? Should the tenant have to put up some sort of aestheticslly appealing fencing that would delineate the space in its entirety? So when structures are rented out on publicly owned land to private parties is it a good thing or is it a form of prostitution? Some critics actually DO consider these partnerships sacrelige and not respectful of the history. Advocates see these partnerships as a necessary evil: adaptive reuse helps old and historic structures survive in a modern world. But….are the rules defined enough with these public- private partnerships? And what money out of revenues earned are put aside for historic structures these businesses are renting? Should there almost be managed trust accounts for these buildings? It’s here! The sport of kings everyone heralds Memorial Day and the first minutes of summer in with: hat wars at Devon Horse Show. 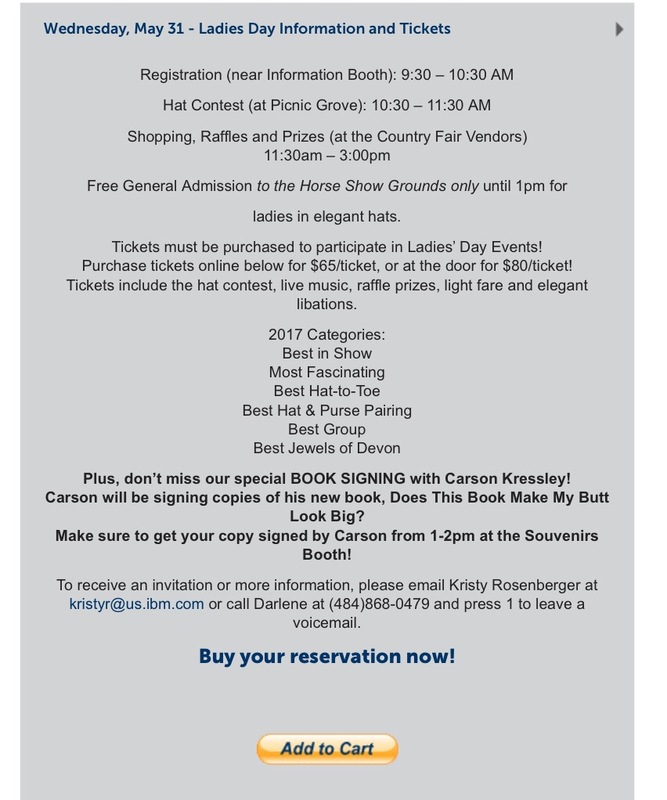 “Ladies” Day is May 31, and I am certain it won’t disappoint. 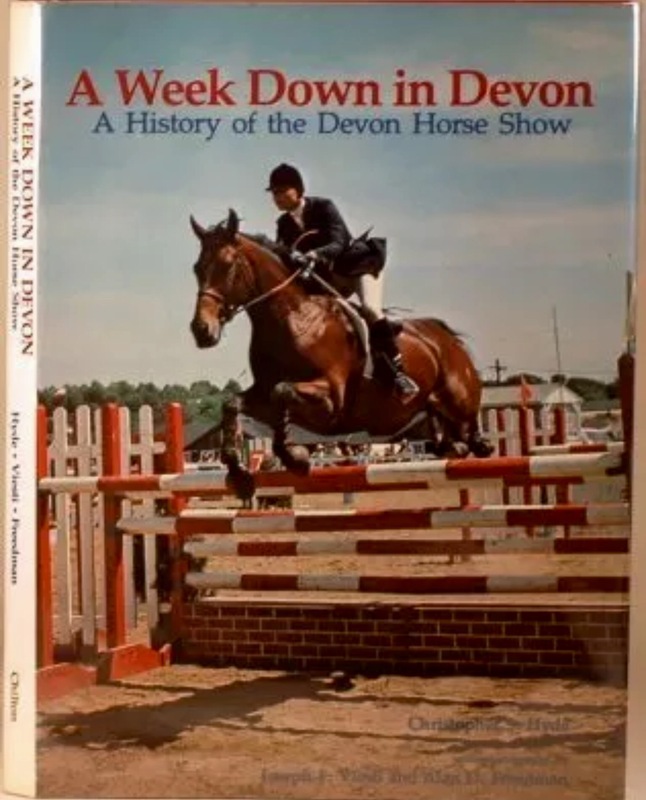 But please note The Devon Horse Show category of “Best Jewels of Devon” – I shudder to think about that bedazzling that will be done…can’t you just see bedazzled Lilly LOL? 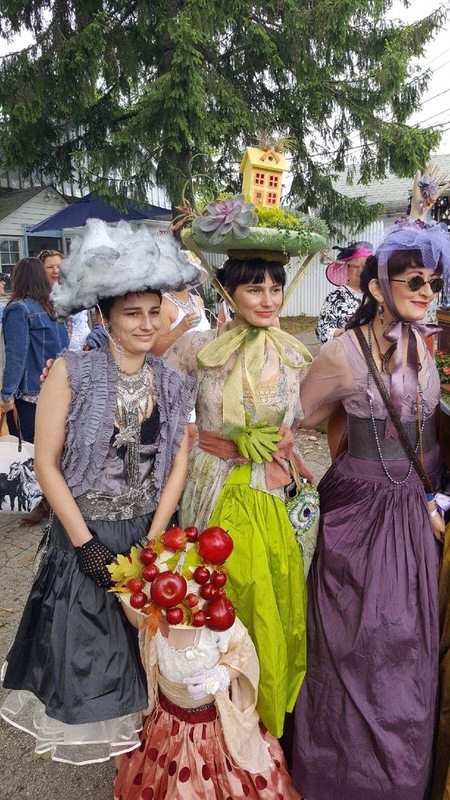 Sigh….remember the genteel days gone by that once was Ladies’ Day? It used to be so civilized and nice. Today’s Ladies’ Day is just not for me. I have always loved horses. And I used to love going to the Devon Horse Show. But what Devon has evolved into in recent years makes me wish and hope it returns one day to what it was. In my mind’s eye I see the Devon I personally remember best. The Devon of the mid 1970s through the 1990s. That was the Devon where you still saw the real Lilly Pulitzer and Vested Gentress dresses and spring/summer ladies pants outfits, and gentlemen had their khacki pants (lots of “Nantucket Reds”) and boaters. What always sets the vintage Lilly apart from the modern Lilly are not the patterns, but the fabrics. Today’s fabrics are cheap looking and feeling for the most part. The fabrics of vintage Lilly and vintage Vested Gentress had weight to them and body. The cotton material was of such a high-quality and weave that it would hold up to heat and humidity. Modern Lilly has fine patterns but the actual quality of the fabric cheapens the whole deal. What will be interesting to watch this season at Devon is the society coverage. My money is on Caroline O’Halloran and her Savvy Main Line society glam squad and what will be their coverage. Caroline has added a real society column to her super popular website. Caroline’s columns feature a team of ladies who actually used to work for the society pages, and real coverage of events. And with their photos and Caroline’s columns you don’t just have people lined up for well-dressed society mugshots, you have well styled photos, an actual description of the event, what it’s benefiting, and so on and so forth. It’s old-school and delightful in a modern website format and for those who chose to advetise it is a superior platform and I am not compensated to say that, it’s my opinion. I find Savvy a much more polished and comprehensive a product when compared to what Susan Scovill puts out, unfortunately for Susan. While Susan pioneered the idea of a local website with event photos when she and the Main Line papers got their divorce a few years ago, her website in my opinion needs to evolve. Here is hoping people are better behaved at Devon this year, right? Last year and the police stuff wasn’t very Devon was it? And here is hoping that the people who attend Devon Horse Show behave better than the people who attended Radnor Hunt, right? People who are members of Radnor Hunt have been chattering about those who were guests at this season’s event which is at a private club who behaved liked early Animal House Frat House and if this is true, how could they show such casual disregard for Radnor Hunt? 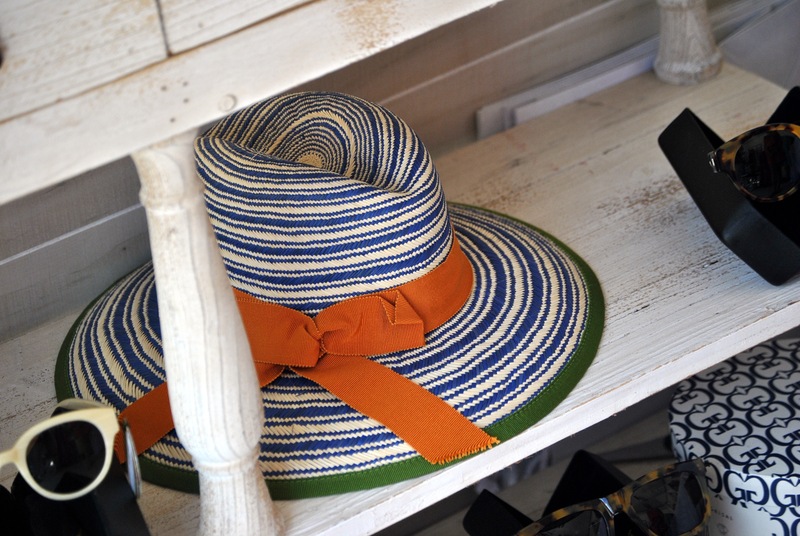 It’s a lovely day for Devon today, however, so go buy a hat, see the horses and have a lemon stick! The concept of family is a sacred thing. When you are little they are that group of people bought together by blood that all look like you. As you grow up you realize as you form your own family units the concept of family can be redefined. I have a lot of friends who don’t have much family by related blood per se, so the friends fill the family shoes. When my sister and I were little there were a lot more of us. Not in our immediate family, we were just four people- but through aunts and uncles and cousins and great aunts and great uncles and grandparents and great grandparents there were more of us. As we grew up, the numbers thinned. But we still had both of our parents. In 2005 our father died. He had fought prostate cancer valiantly and on his own terms. For me, the death of my father is still somewhat of a surreal event. My memories from that time are a lot like flashes of Kaleidoscope images. Lots of bits separated by flashes of color. I remember my mother and my sister being so instantly devastated and falling apart around me that I was almost afraid to grieve for a very long time. I remember looking out across the church which was standing room only giving one of my father’s eulogies . In order to get through that and not embarrass myself by dissolving into tears I found two of my friends Stevie and Barb, and focused on them. Other things I remember from the day of my father’s funeral were two people who weren’t there. One was my father’s brother, his only brother. Even as a child I never thought much of him and I pretty much wrote him off after that. He was like a selfish caricature version of my father. Truthfully, and without guilt and reservation, I can say with a clean conscience I don’t care if I ever see him again. The other person who wasn’t there that day was my godfather. That was a more bitter pill to swallow, especially since he lived down the street from the church. He was literally two or three blocks away. My late godfather was a great disappointment to me on that day. He had known my father (and mother) since high school and he gave the toast at their wedding. So I let my godfather go. I was sad for a moment when I heard he had died, but I did not attend his funeral which was at the church a block away from where my father’s funeral had been held. I saw no need to open that door one last time. We all moved on. It took a while, but we found our way and it was OK but it was different. Then in 2010, we also lost my brother-in-law quite suddenly. Our little family unit was devastated all over again. It nearly broke me to watch my sister and her children grieve because there was nothing anyone could do other than to be there for them. It was also so incredibly hard to watch my mother grieve this new loss as well. Eventually the clouds lifted and we all moved on. One day our mother finally ‘fessed up and told us she was seeing someone. (We had suspected this, incidentally.) Mother seemed almost scared to tell us like we would be upset. But we weren’t upset, we were very and truly happy for her. We also felt that our father would not have wanted her to be alone because he loved her that much. Our mother was truly happy and alive again, and we loved it. So for the past few years we have watched a rather remarkable love story develop and unfold. At a time in life where a lot of people tend to wind down and accept a more solitary existence, my mother once again found love. And my sister and I grew to love her gentlemen as a surrogate father. We felt so lucky and so blessed to have him. I am especially personally grateful for him as he really gets me as an individual . He has this uncanny intuition with people and capacity to listen to, understand, and love that is just lovely. I don’t know how else to describe it. And on Monday, 22 May, 2017 he officially became our stepfather. It was a quiet and intimate occasion, just the children and the couple whose dinner party inadvertently introduced them. Yes, this was something that happened quite literally by fate. My mother and new stepfather were married by a judge they knew. After the ceremony was complete, the judge asked the children if they had anything to say. My sister spoke, but I didn’t have my words at that time. So I did not speak. It has taken a couple of days for my wandering thoughts to come together. And among those thoughts I marvel at the modern family we all have become. My own little family unit is a blended family, and now my larger family unit is a blended family. My sister and I have five stepsiblings! We gained four brothers and one sister…and that does not include spouses and children! The thing about my newly blended family is how marvelous they are. Seriously, they are awesome. We (the children) have all gotten to know each other over these past few years as our parents came together from being widowed. So this is actually a really happy time for all of us. 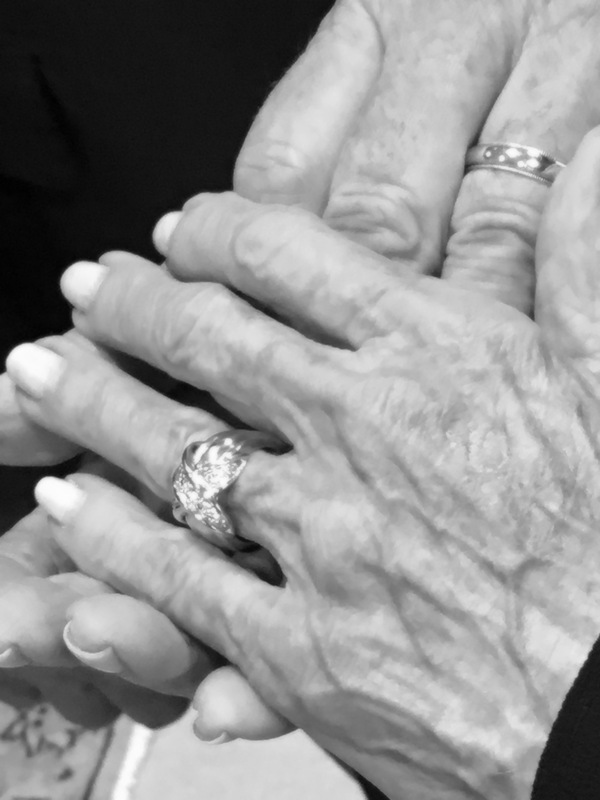 We all have had our bittersweet moments as we remember the parents who are no longer with us, but we are so fortunate that our parents have found such a wonderful love together and bought all of us together. Believe in love. It takes you on the most unexpected journeys in life. The photo above (and the next photo below this paragraph) were both taken on a garden tour last spring. I love hostas! 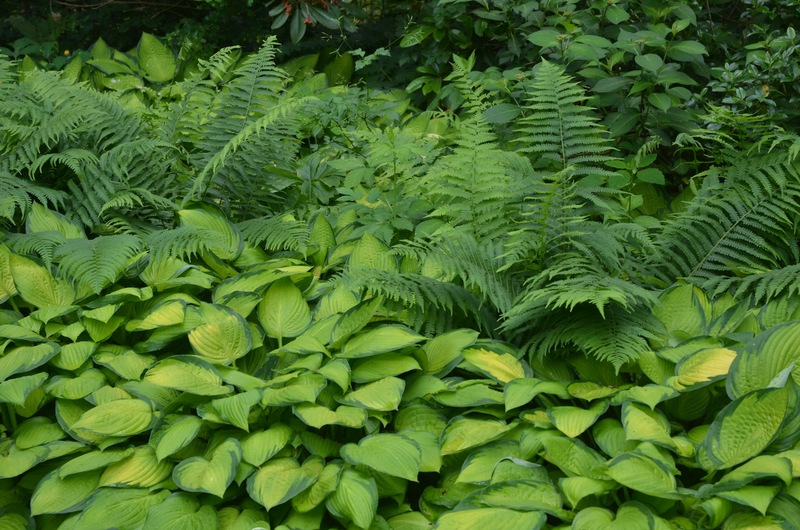 I really generally speaking have a hosta disease! 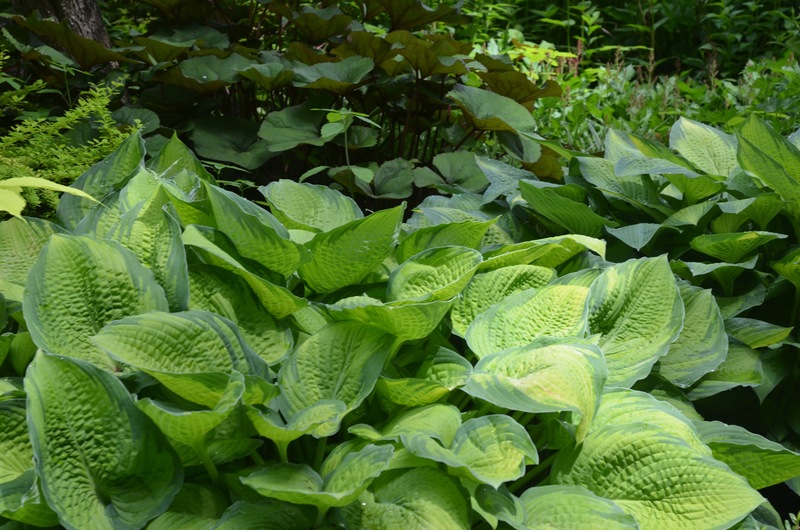 I am always looking for interesting cultivars and growers who might have hostas I want to try but never have been able to find locally. But I learned a valuable lesson recently about knowing your grower. And knowing your grower especially when it comes to mail order plants. I have been ordering plants from reputable growers up and down the eastern seaboard and as far away as Washington state for years. 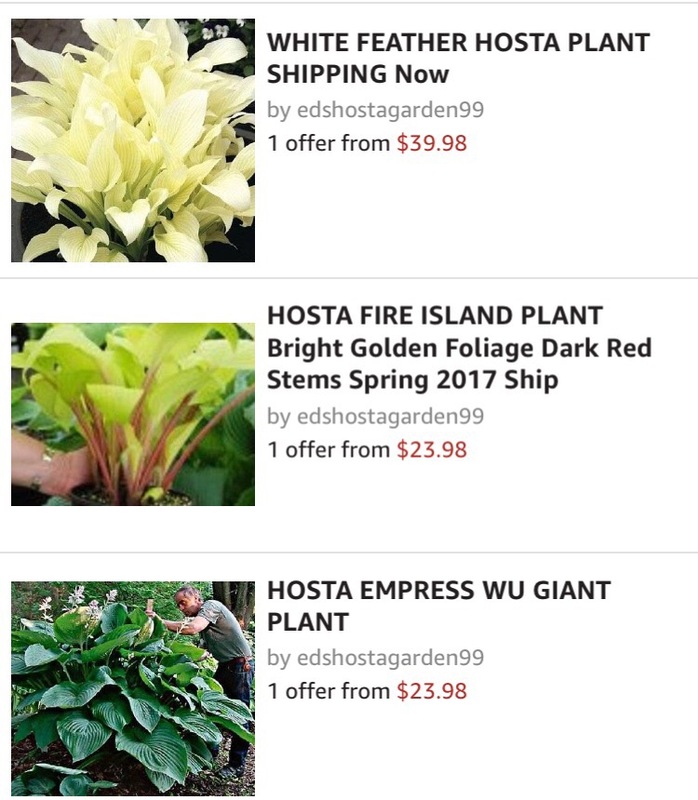 I was searching out particular hosta cultivars and decided to check eBay. Believe it or not I have had wonderful luck with some small plant growers on eBay in the past. For example, I received wonderful woodland ferns from a small nursery outfit in Tennessee. So there is this grower who is a dually listed on eBay and Amazon. I figured since they were on two sites that generally try to police their sellers I was OK ordering plants. I didn’t stop to pay attention to the reviews. I should have. If I had paid attention to the reviews I would’ve saved myself a lot of trouble. I ordered the plants and then I waited. And waited. When I received no tracking number to track my package from the seller after over a week I messaged the grower to ask if the plants had shipped and if I could have a tracking number. I also at that time asked if I was getting bare root or if they were coming in pots. The seller said they always ship bare root. I am not a novice gardener and I am fine with bare root plants. I figured all would be fine. The plants arrived Saturday. Poorly packaged in a small square box, they arrived mostly dead. I literally had thrown my money away. For all of the plants I have ordered over the years mail order, never had I received any in such poor condition. And what was described as a “starter” plant (for example) looked like a piece of wilted micro lettuce. The plants were shipped in dry newspaper in little sandwich baggies with the hosta cultivars scribbled illegibly on the outside of the baggies. There was no ventilation in the little square box and the plants were dried out, wilted, and mostly dead. And so small. I am used to mail order plants but these were puny, so not as described in my humble opinion. I took a deep breath and contacted the “grower” to see what they would do. I gave them the opportunity to do the right thing. I wanted healthy plants, not a refund. 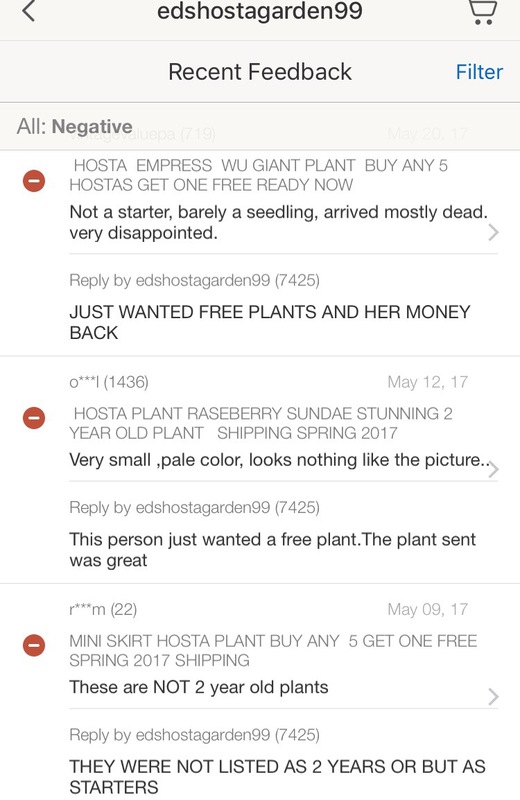 And I was not seeking free plants. I would have been satisfied with an “I am so sorry.” Or even an intelligent conversation in the hopes of achieving an amicable resolution. After all, who likes wasting money? The response from the “grower” was swift and nasty to be honest. 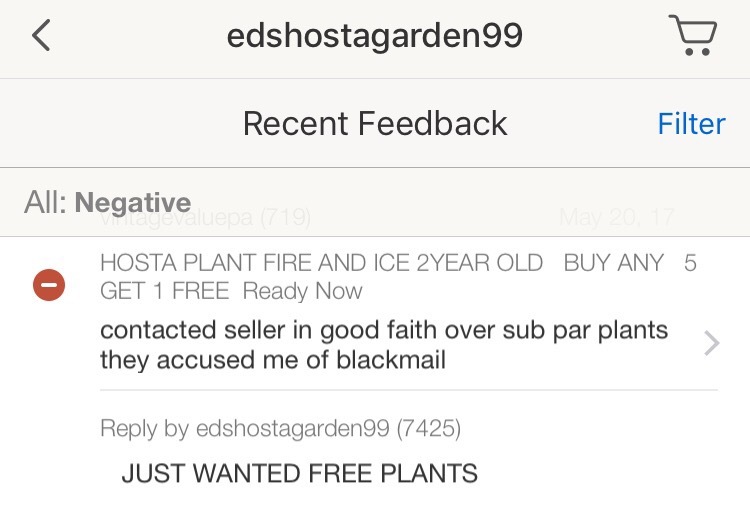 They accused me of “blackmail” and demanded (not requested) I mail back “their” plants (even though I had paid $70+ for “their” plants. I will be honest, I was taken aback by the sheer nastiness of their attitude, and I said calmly that I was not going to put myself out MORE money to mail back sub par mostly dead plants. I have learned a valuable lesson. And if I had read the reviews posted online I probably would not have purchased a thing from them. If they need my hard earned money so badly, hey they can keep it. On a certain level I am disappointed, because people who are true nursery men and women are generally speaking some of the nicest people you’ll ever meet. Do not be afraid of ordering plants via mail order, just check out the grower ahead of time. Again, lesson learned for me. I broke my rule of checking them out.